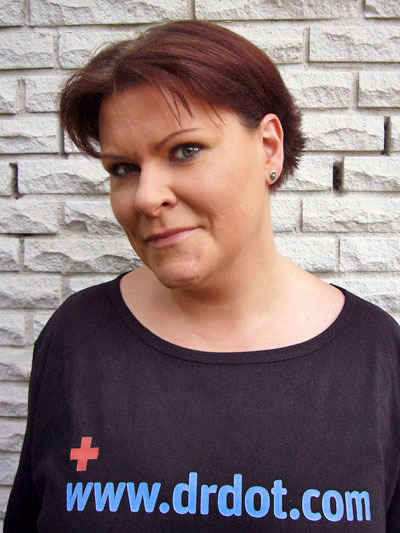 Hello…I'm Christiane, I was born in 1973 and I live and work in Hamburg. I was born and raised in East-Germany, finished my school and then moved to Bavaria, where I worked as a governess in an health clinic for children. I had my first contact with the job of a masseuse and I was captivated. In the middle of the 90's I worked for a German Travel-Organisation in Turkey and Corse/France as a host for children, music and later as a chef-host. After I came back to Germany I decided to become a masseuse. I finished the training in 1999 and since then I have the best job of the world. My favorites are the swedish (classic) and foot-reflex massage. I give you the massage which you need, with more pressure and pain treatment or a relaxing massage. I hope we will see us and I give you the best massage ever!